"Blessing? I was expecting a treat!" 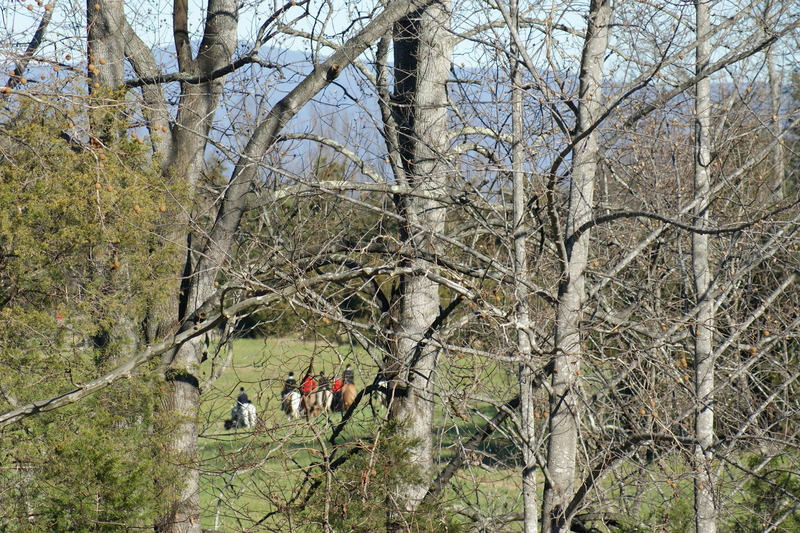 We attended a fairly unique event Thanksgiving morning. 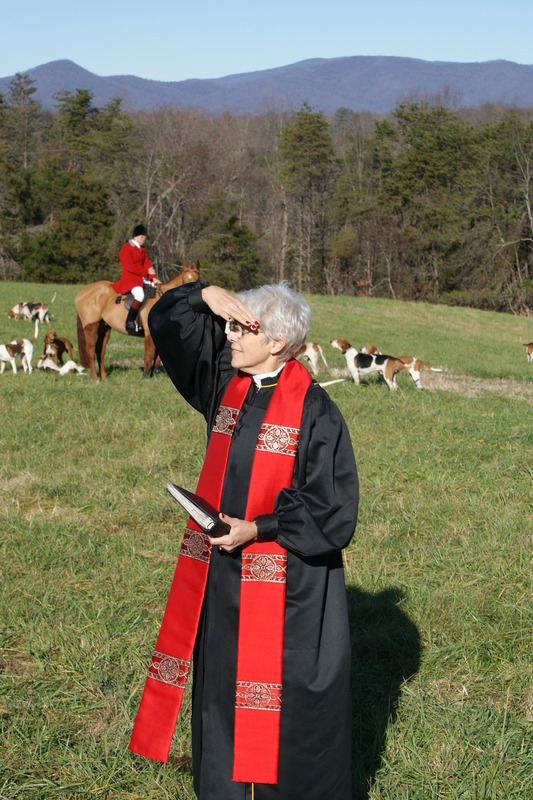 It was the annual “Blessing of the Hounds” presented by the Farmington Hunt Club here in Charlottesville. It sounded like a fun way to start the day and see a bit about a sport that was totally foreign to us. 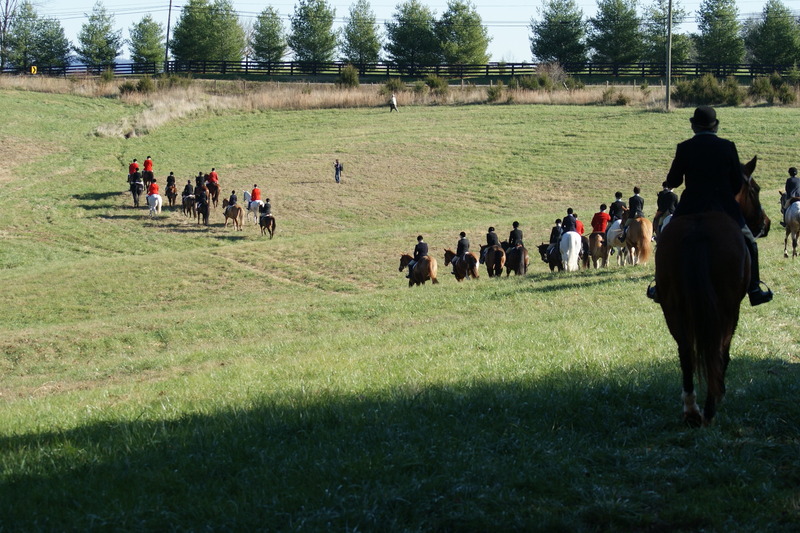 Fox hunting, which dates back to the 1500s, is more pageantry than anything else and that’s what we came to see. 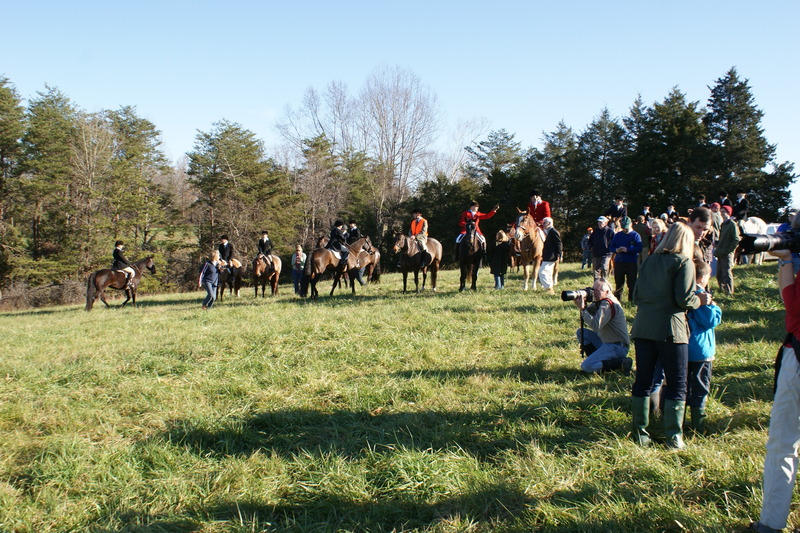 A large crowd gathers for the beginning of the hunt to see the “blessing.” Actually it is a blessing for all participants, canine, equine, human and, of course, the fox. So, if you want to see how the other half lives, come with me on an absolutely beautiful morning and see this gala affair. 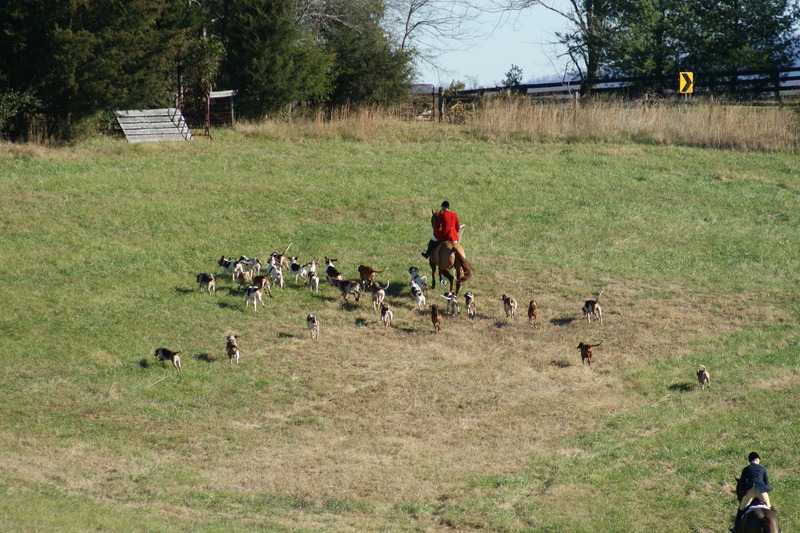 The hounds are kept a slight distance away until the horns sounds. 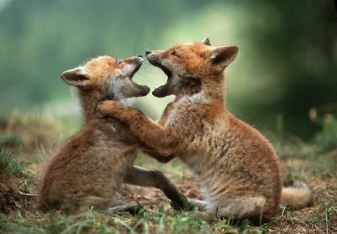 Oh look, there’s Newt Gingrich on the left. Who knew he was into leather? 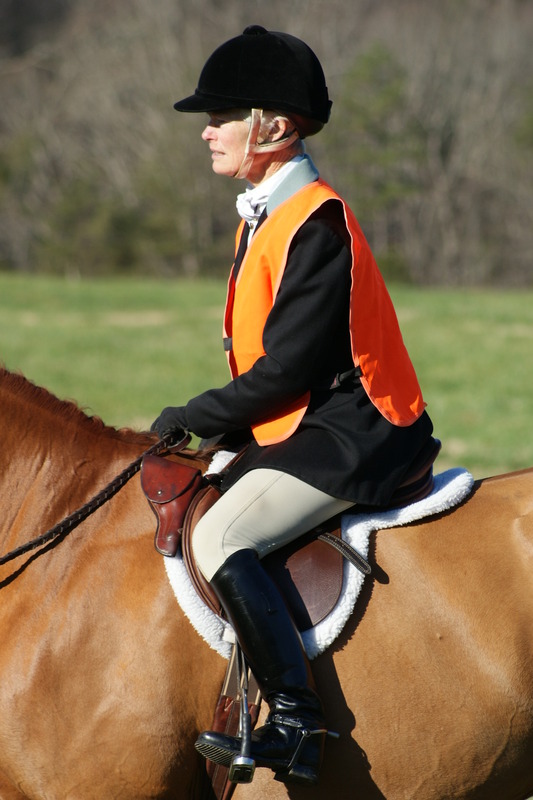 Riders trying to qualify as members of the club wear orange vests until they have earned the true colors. The heck with this, let’s eat. 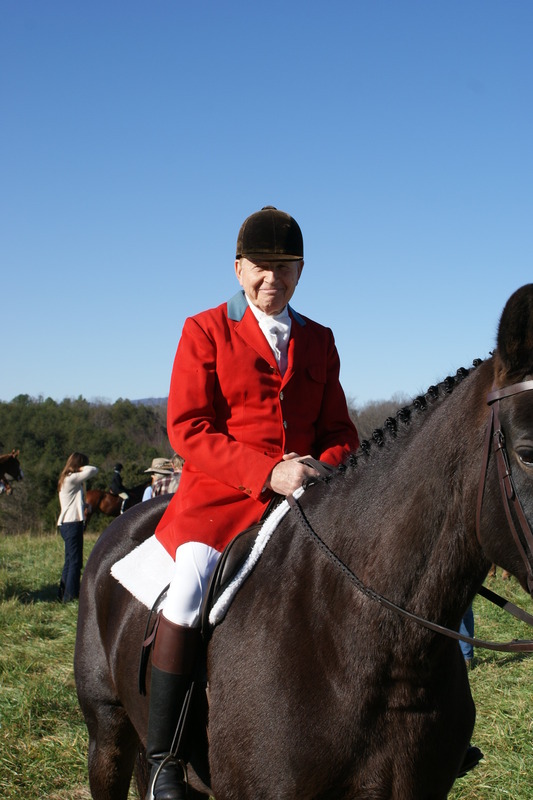 You remember Arie Rijke, the huntmaster of the beagling club. How’s this for an outdoor cathedral, Rev? 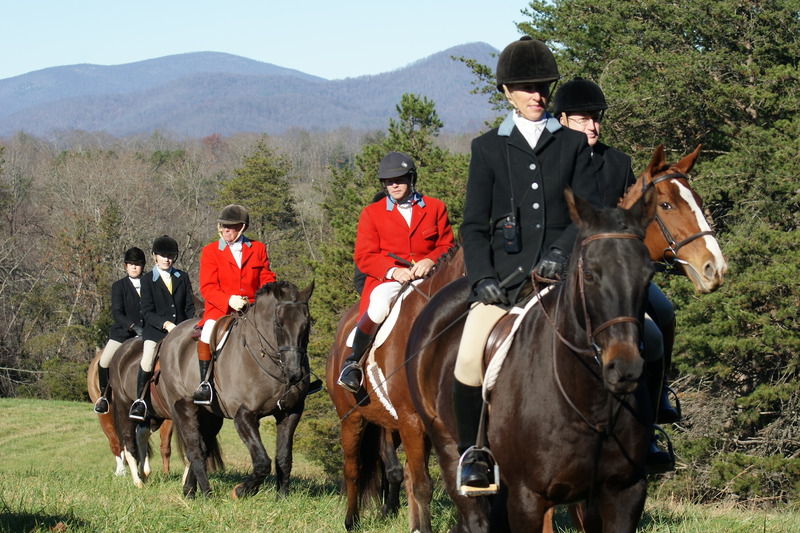 And they’re off to the hunt. and soon they’re far afield. 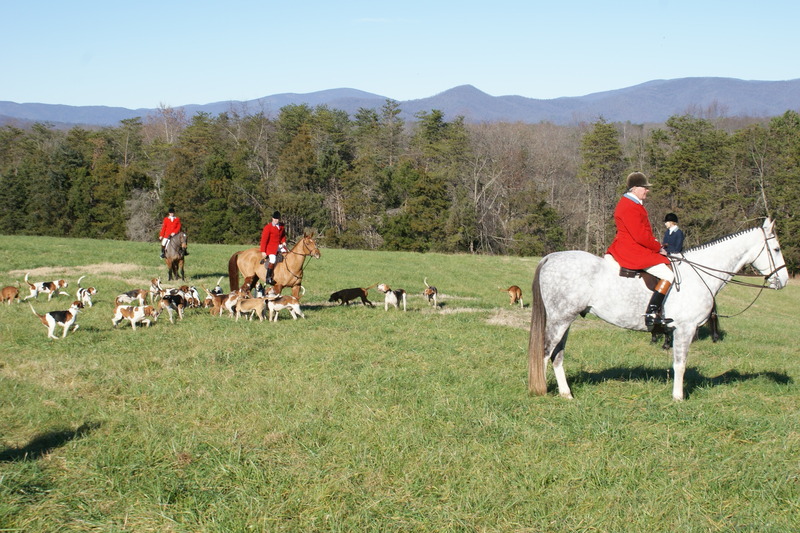 DISCLAIMER: We later learned that no foxes were caught or harmed during this hunt. Isn’t that always the way? 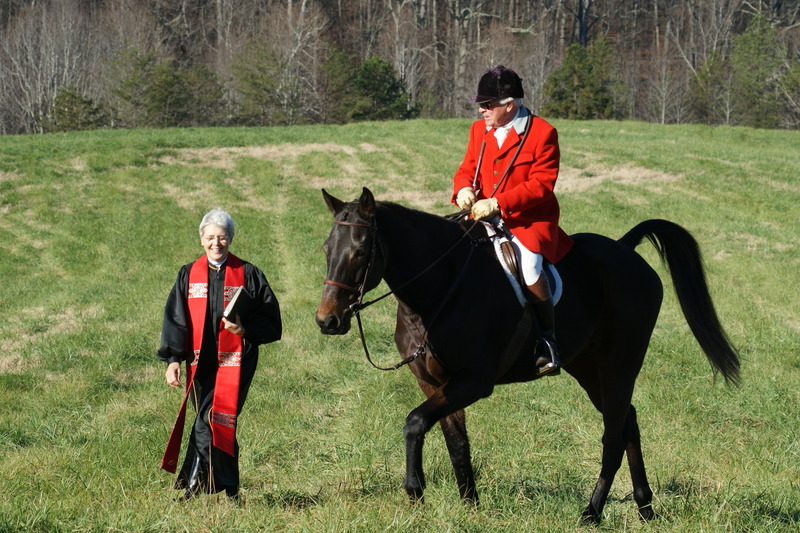 This entry was posted in Misc and tagged Charlottesville Virginia, foxhunt, Newt Gingrich, Thanksgiving. Bookmark the permalink. Lovely photos, and a lovely tradition. I don’t care to hunt myself, but I am a meat-eater. I buy it in sanitary, cellophane-wrapped bundles that no longer look like animals. Maybe the hunter is more honorable in this than I. 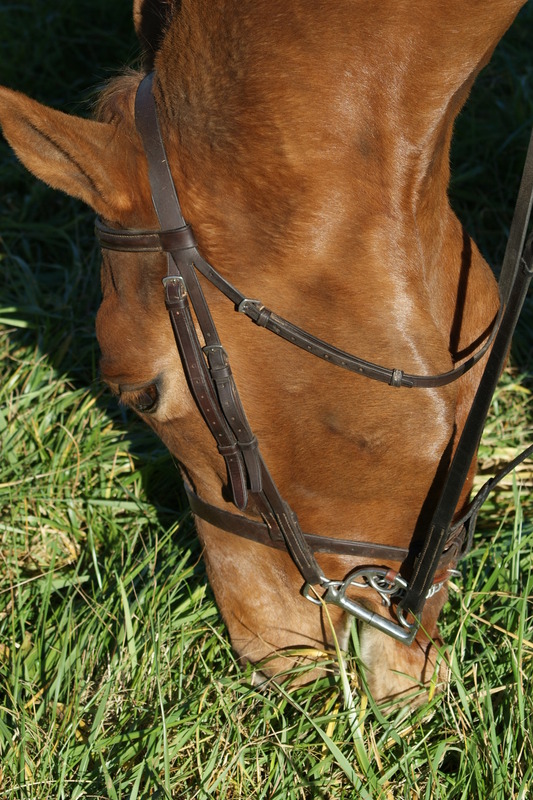 He puts himself on the line to get his dinner with no illusions about what is involved. Well put, Peg. I can’t stand to see someone shoot a turkey, but boy do I like to eat them. There you go with those sweet hounds again. They get me every time. Of course you knew to expect me for a visit, didn’t ya? Happy Belated Turkey Day, or Fox Day, as it were. Enjoy. I’ve always believed the way to a lady’s heart is through her hound dog! Always nice to see you here Tammy! Happy holidays. It’s a whole other world winsomebella. It has to be the most expensive hobby ever. Glad I can say I’ve seen one though. Very nice way to spend Thanksgiving morning..photos are lovely. You shore do things differnt down there in ol Virginie! 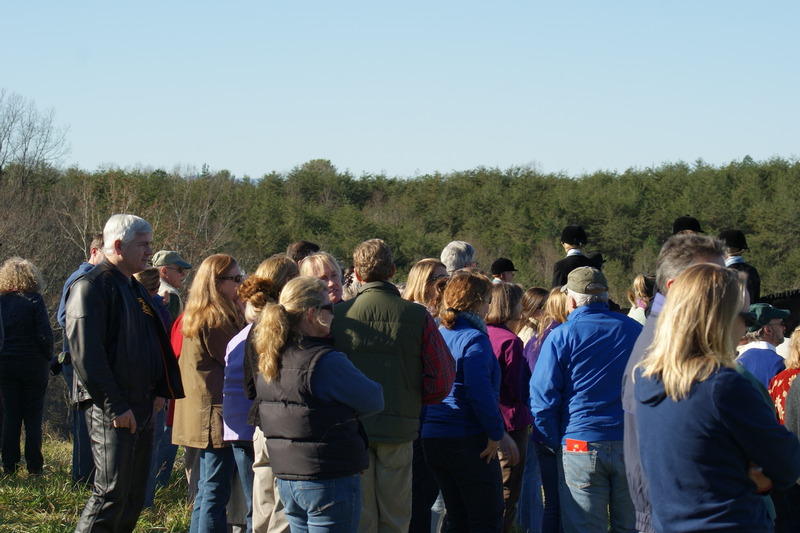 The funny thing was…there were no “occupy Charlottesville” folks there. Go figure. Happy holidays, Cindy. 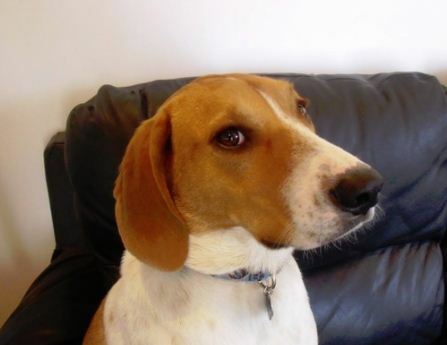 I have learned that posting things like the beagling club and this one tends to elicit some emotions. 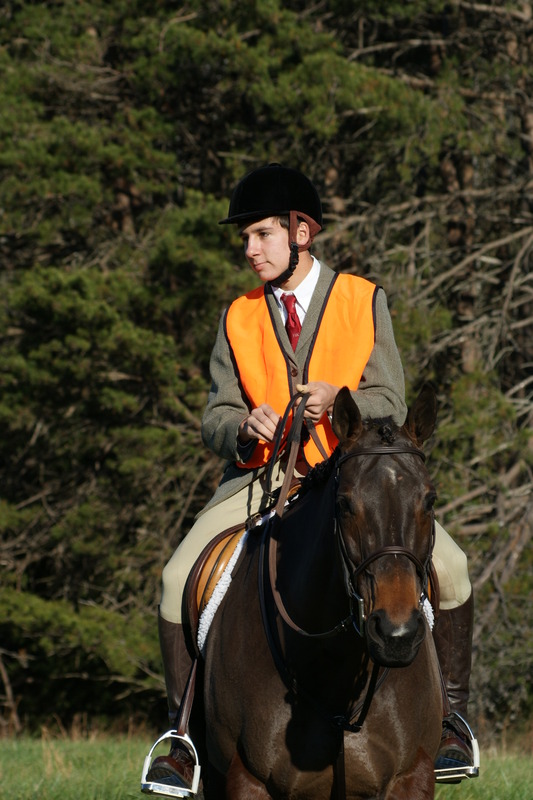 The odd thing is I am not a hunter and never have been. But that doesn’t and won’t change the fact that they exist so I try to see the cultural value in them and enjoy the more pleasurable aspects such as exercise, scenery and lovely weather. Thanks, ducks. This was our 1st one but if the one next year is on a day like this was, we will return.